Due to the introduction of the bedroom tax as part of the welfare reforms, many social housing tenants are being forced to move into smaller properties in order to avoid having their housing benefits cut. However, many have said that that they struggle to find a new property, and that the process of looking for a new place to live takes a considerable amount of time, meanwhile they are losing money and struggle to pay other bills. The reaction to the upcoming bedroom tax is becoming more and more extreme recently, as at first there were social landlords claiming that they thought it was unfair, but now there have been protests and MPs calling on social landlords to protect their tenants by any means possible. 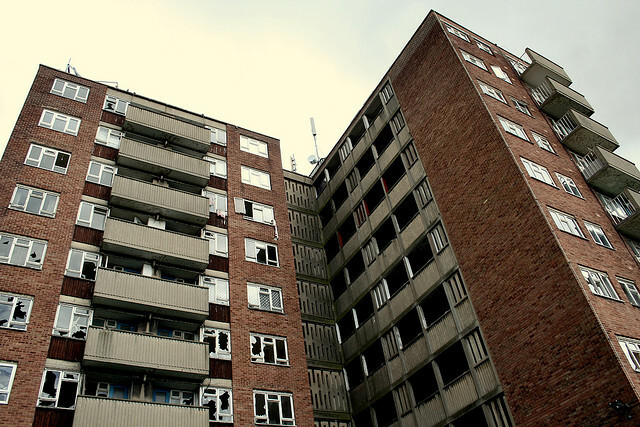 For instance, Frank Field, an MP for Birkenhead in Wirral has said that he wants councils and housing associations to take direct action to help their tenants and even ‘knock down walls’. Immigration is quite a complex subject in England, especially as the housing crisis is leading to more and more people throughout the country struggling to find accommodation or even becoming homeless. The recent news that millions of people from Romania and Bulgaria will soon be legally allowed to immigrate to England has also raised even more concerns as some feel that public services in the country are already stretched beyond their means. We have recently seen a marked increase in the amount of housing associations that are changing the structure of their organisations in order to prepare for the challenges that will come as a consequence of the welfare reforms. Many associations are concerned that they need to adapt in order to protect their tenants from any housing benefit cuts and improve the efficiency of their companies in order to help alleviate the housing crisis. Housing associations and social housing companies are having to make some difficult decisions recently, and many are concerned that the upcoming welfare reforms will mean things will only get harder. We have published numerous news articles recently discussing how private rented sector landlords are protecting themselves against the upcoming reforms with landlord insurance, however many housing associations and social housing companies are choosing to discuss with their tenants how the reforms will affect them. Housing associations are under a large amount of pressure recently due to the fact that the current economic climate and housing crisis have created so many families in need. Many have been criticised in the news recently for not keeping up with demand, however one chair of a housing association has recently been awarded a massive accolade when she was made a Member of the Order of the British Empire for her services to community relations, social housing and diversity. Despite the continuing demand for more good-quality, affordable properties throughout the UK, house building companies are still struggling due to the economic climate. Landlords are therefore finding it hard to provide suitable accommodation for all their tenants, meaning that many are choosing to refurbish their properties and claim on their landlord insurance. However, the housing, regeneration and construction specialist Lovell, based in Mold, have recently announced that they have achieved a £47 million profit for their parent company the Morgan Sindall Group.